Wish You Were Here is a series of postcards for those who travel to, even if only temporarily, become the foreigner and tourist they feel like they are at home. 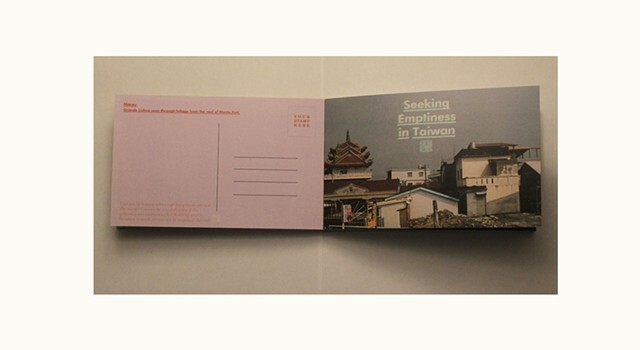 Postcards can be pulled off from the book and be sent anywhere by mail. 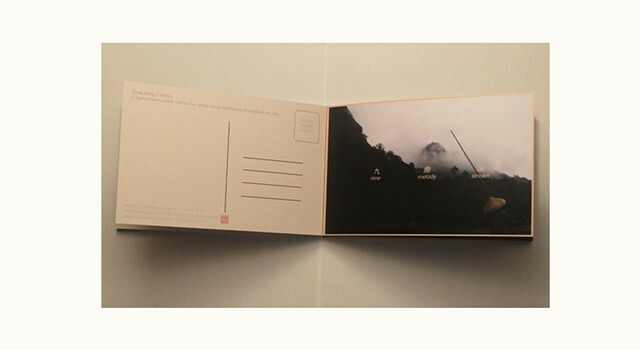 Book is bound by custom padding compound, allowing the pages to tear off from the spine without damage to the postcard and the book itself.